-We think your château is wonderful ! We are sorry we could only stay one night. Thank you for your warm welcome. -Perhaps the first visitors of the new millenium ! We have enjoyed the experience of castle living and the cold April weather has been more than tampered with the warm reception and assistance from you and your family. We will return in the futur. -A delightful visit - we especially enjoyed the ambiance at night - Good luck to Tanguy. 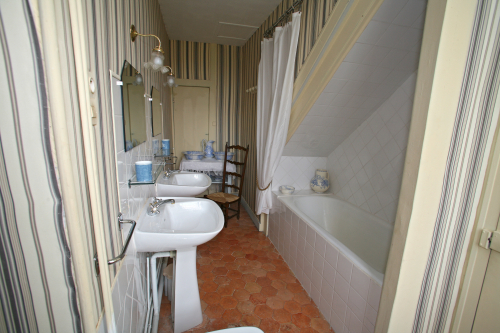 -Our visit at your really lovely castle was the last stay of our 10 days visit through the Loire Valley and Bretagne. But it was too one of the most beautiful moments here in France. Many thanks for your kindly hospitality, the warm welcome and the outstanding atmosphere of the landscape view and for all of the authenticity of this marvelloous castle. We will come back sometime to say hello. - Located on the first floor, the Bleu room opens south with a view on the Sauldre valley and the garden. -First night: 130 Euros per night. -Second night and more: 115 Euros per night. 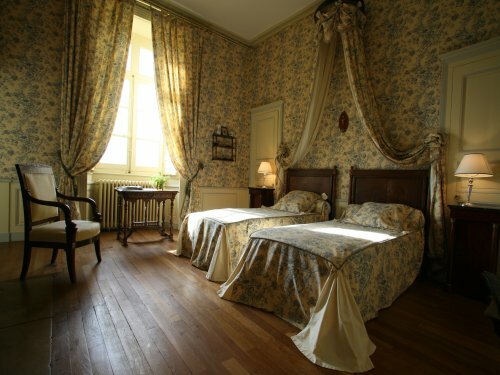 -Ideal for a familly with two childrens, the Yellow suite is composed of the above room and the bellow one. The two are interconnected. 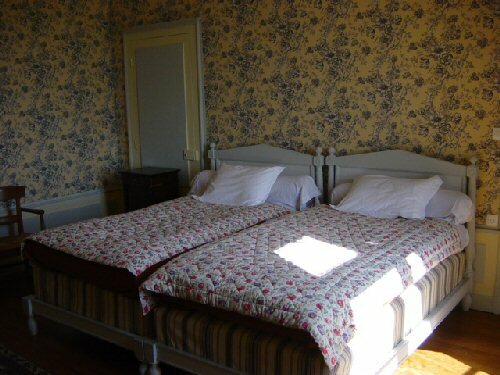 -First night: 185 Euros per night. -Second night and more: 160 Euros per night.